I recently applied to the Amazon Associates Program, and I am still familiarizing myself with all of the material on the Amazon Associates Central website for affiliates. One of the first things I wanted to figure out is how much money I can earn from advertising products on my website. Amazon does not pay its associates a flat commission percentage for all of its products. Instead, the company pays its affiliates fees based on percentages that differ by product category. More specifically, when an associate refers a customer who makes a qualifying purchase of a product on Amazon, the associate will get a commission that is based on a fixed percentage that is set for the corresponding product category. Amazon has established fixed rates for many product categories. There are 14 main product categories in Amazon’s “Associate Program Standard Fees Schedule,” (Standard Schedule), and the fee percentages that accrue to affiliates range from 0.00% to 10 percent. That is quite a range, right? In this post, I highlight a a few examples of product categories and their corresponding fee rates in the Standard Schedule–but please know that this discussion is not even close to being exhaustive. In addition to the Standard Schedule, Amazon Associates can earn money from Special Program Fees (fixed rates for Amazon’s Bounty Events and Trade-In-Program), which this post does not cover. For more details, you should take a look at Amazon’s web page covering its Standard Fee Schedule, and you can also find information relating to the Special Fees Program. It is worth noting that Amazon Associates are only paid for “qualifying purchases.” Therefore, you will not earn money for affiliate referrals from non-qualifying purchases. An affiliate would get paid zilch for items in 9 categories, which, for example, include things like alcoholic beverages, prime wardrobe purchases, gift cards, and prepared food that has been delivered from a restaurant. Amazon Associates get only 1 percent for game consoles and physical video games, but they would get 2 percent for digital video games and televisions. The advertising fees for PCs (and PC components) and DVDs is 2.50%, and toys and items from Amazon Fresh fetch 3 percent. If the qualifying purchase is for Amazon Fire tablets, dash buttons, or kindles, the affiliate can earn 4 percent, and 4.50% for kitchen, sports, and automotive products. A 5 percent rate is set for digital and physical music, digital videos, and handmade products, and 5.50% applies to the tools and outdoors categories. Associates can earn 6 percent for referrals of business and industrial supplies and headphones. The rate of 7 percent applies to shoes, luggage, watches, jewelry, apparel, and certain Amazon devices. Affiliates can earn 8 percent for items in the home improvement and furniture categories. The highest fixed rate, 10 percent, is set for Amazon private label fashion, luxury beauty, and Amazon coins. I have discussed the 13 main categories (and corresponding fee rates) on the Standard Fee Schedule. The 14th category, “All Other Categories” that has a fixed standard fee rate of 4 percent. If you have a niche website focused on one or more of the above-mentioned categories with higher percentage rates then you stand a better chance of earning more in advertising fees than a site focused on the lower-paying categories. What you advertise can make a big difference in your earnings. 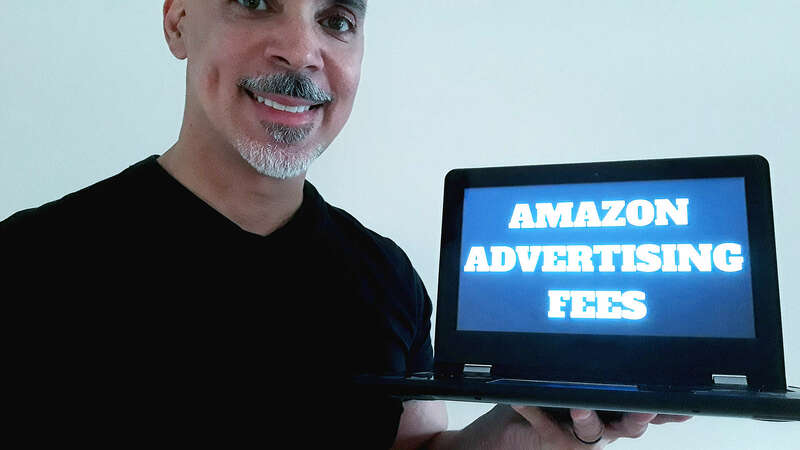 For example, if you advertise televisions, in general, you would only get 2 percent from your referrals, but if you advertise the Amazon Element Smart TV (with fire TV) you could get 7 percent. There are both significant and subtle differences of which you should be mindful. Some seemingly related items may have notably different advertising fees. Remember, the outdoor category fetches 5.50%, while lawn and garden items pull in 8 percent. Amazon private label fashion items have a 10 percent advertising fee, but apparel, in general, has a 7 percent rate. The advertising rate for digital video games is 2 percent, while the rate for physical games is 1 percent. An Amazon Echo device has an advertising rate of 7 percent, but an Amazon Fire tablet is 4 percent. You should not change the focus of your site or select items to advertise solely based on the earning potential from Amazon. However, you may want to be mindful of the earning potential when selecting products to advertise on your website. I hope that you found this blog post informative. use my affiliate link to make a purchase –then the universe will bestow up you some really great karma.